Fine fast food Piantina is located near Pula city center (Zadarska street 1) and it is best fast food that you can temporary find in Pula. Why Piantina fine fast food is best fast food at the moment? Because it provides a wide selection of tasty and healthy hamburgers or sandwiches made of 100% beef meat bought from local producers. Breakfast in fine fast food Piantina is excellent choice for hot summer days – healthy sandwiches, fresh juices or smoothies are good for waking up or detox. Pleasant and refreshing ambiance of Piantina fine fast food looks modern – wooden furniture and green plants prevail over the place. You can eat on terrace or just take some food to go. 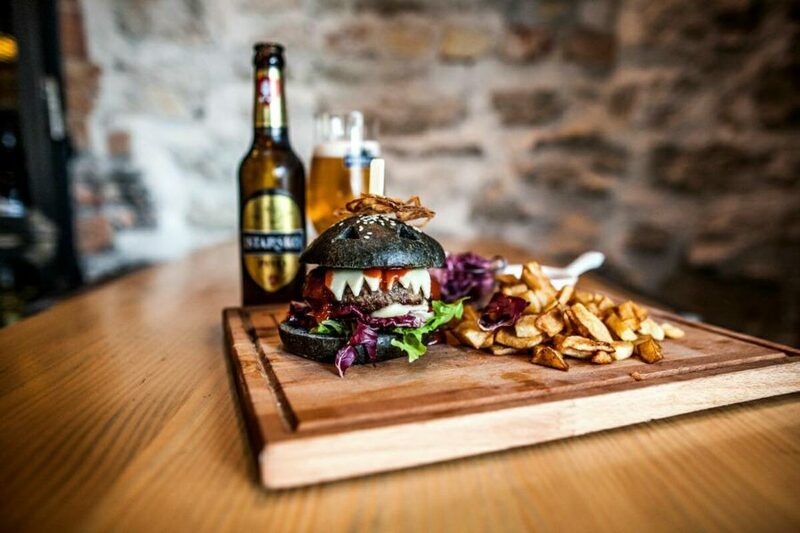 Delicacies of Istrian gastronomy – Istrian bacon and prosciutto gives special taste to hamburgers and sandwiches. The creativity of the chef is also evident in other combinations. 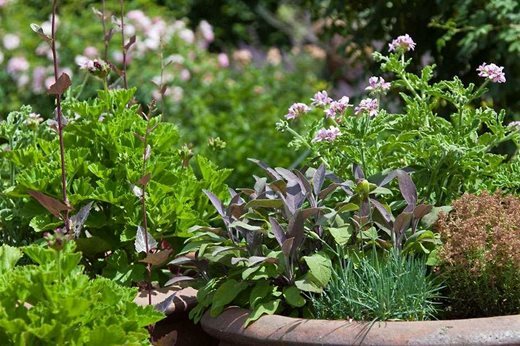 Hamburgers are full of zucchini, aubergine, smoked cheese, fresh salad and sauces. 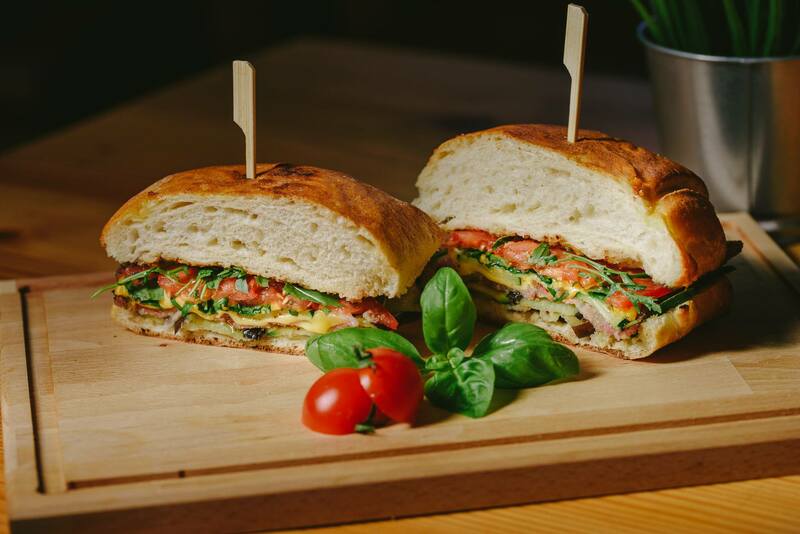 Sandwich made by homemade bread and filed with crunchy Istrian bacon, smoked cheese, zucchini, aubergine and BBQ sauce… Enjoy! Bread for sandwiches and hamburgers is homemade. Fine fast food Piantina also offers fresh salads, fresh juices, shakes and healthy smoothies. You can have healthy and tasty breakfast, lunch or brunch here in Piantina. 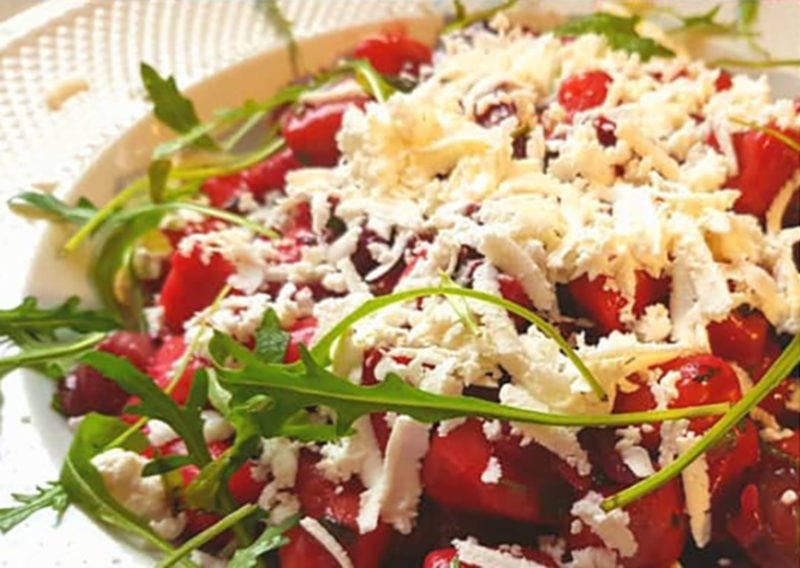 Perfct detox in fine fast food Piantina – forest fruits, oats, low-fat cheese, honey and stevia! Personal is very pleasant and fast, so you can relax and enjoy your meal. 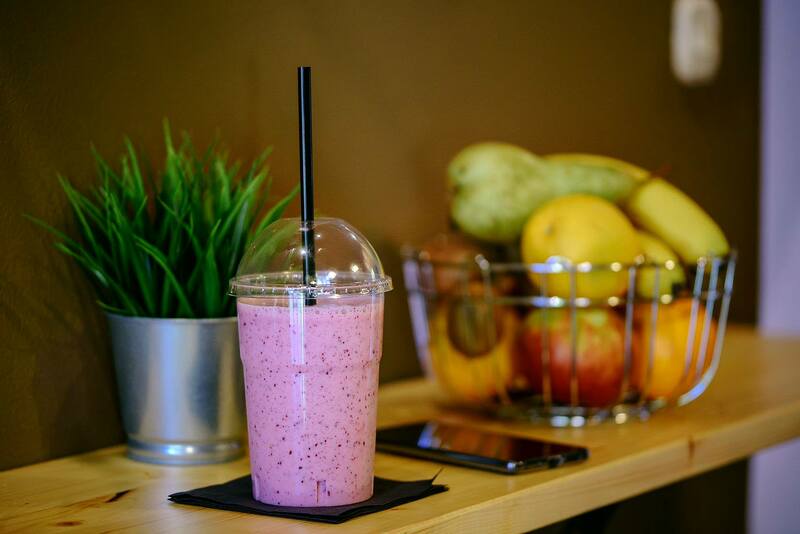 If you had a long night stand – just come here and have a healthy smoothie made for detox or some fresh juice. Athletes will be glad with protein shakes. 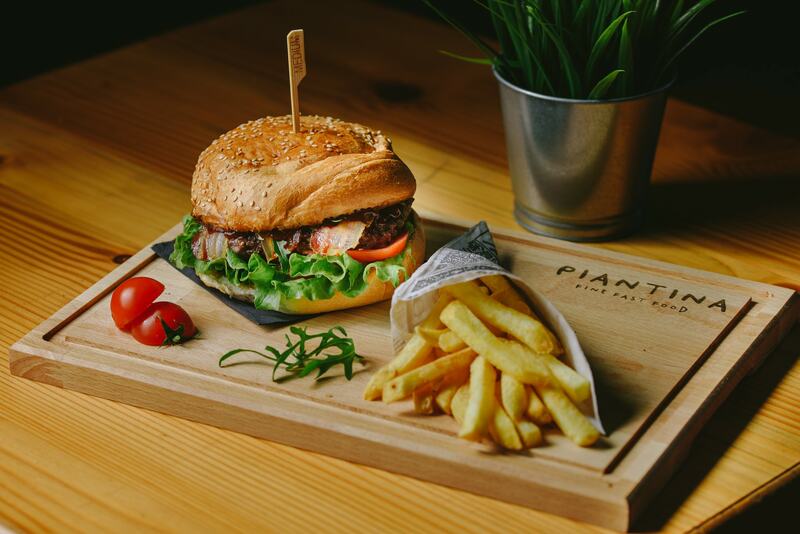 Tasty hamburger made of 100% domestic beef, Istrian bacon, fresh salad and served with french fries! 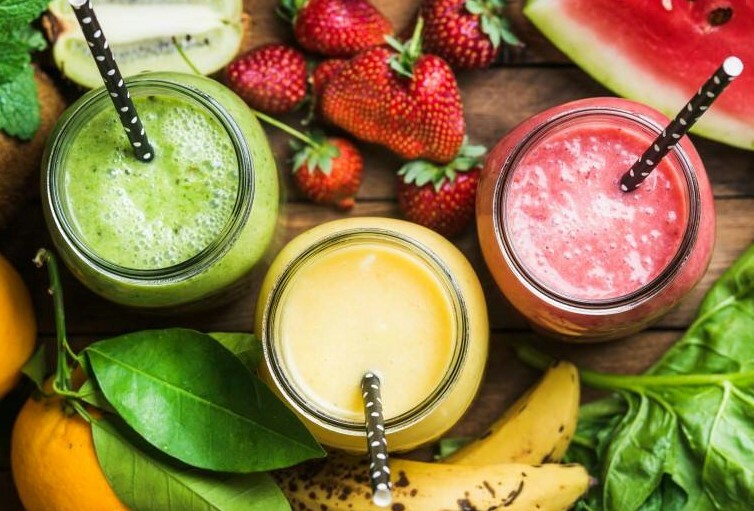 Healthy smoothies, fresh juice or protein shake in Piantina fine fast food are ideal for warm summer days or hangover detox! If you are planning to spend all day in Pula city center – come and take some food in Piantina. After you eat some tasty hamburger you can keep walking trough Pula street. Right bellow Zadarska street is most popular Pula’s gathering place – Corso. 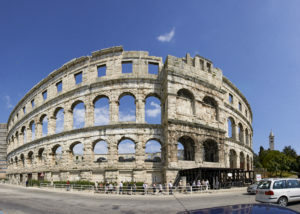 Near Piantina stands the monuments such as Herkules doors, the tween doors, and the greatest Pula monument – Amphitheater is just 10 minutes away (by foot). Have a nice meal in Piantina fine fast food and great time in Pula!